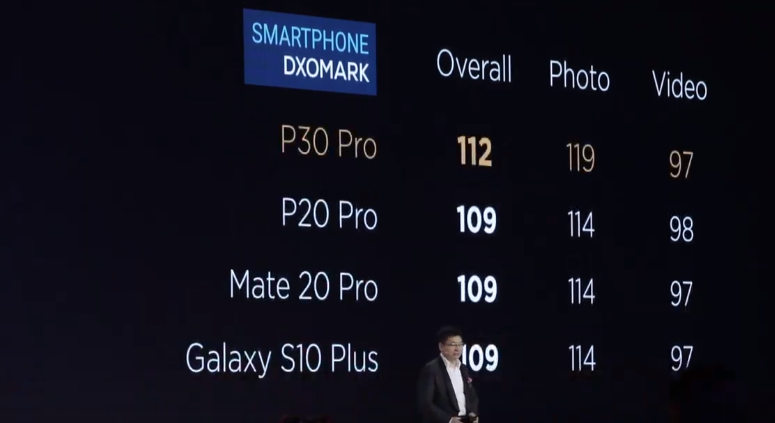 Huawei’s consumer business, through its CEO Yu Chengdong, stated that it had not disclosed the score obtained by its new high-end smartphone P30 in the classic DxOMark test because it is very similar to that attributed to its big brother P30 Pro. The declaration arrived yesterday, on the sidelines of the event during which Huawei, after the official presentation held in Paris on March 26th, finally launched its new flagship devices on its native land. During the Chinese launch event, the manufacturer obviously insisted a lot on what is the real highlight of its P30 and P30 Pro, namely the photographic sector, once again taken care of in collaboration with the historic partner Leica. 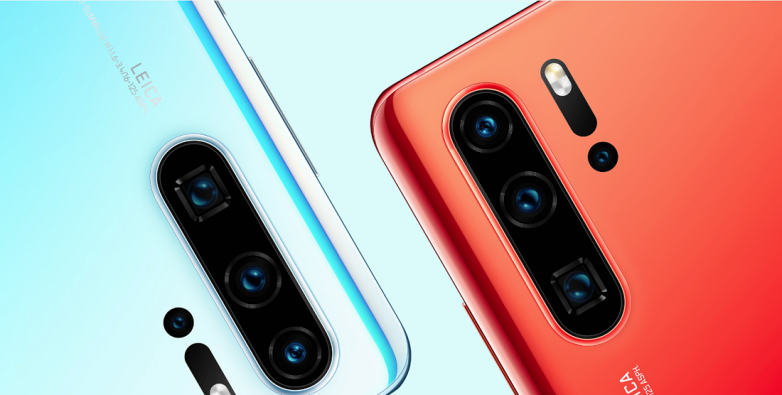 It is worth mentioning that the P30 Pro model has a 32MP f/2.0 sensor on the front with HDR+ and four cameras on the back: the main one is a Huawei Super Spectrum 40MP f/1.6 optically stabilized (OIS) with equivalent length of 27 mm; the telephoto lens is 8MP f/3.4 with OIS and equivalent length of 125 mm which uses a periscope system to obtain a 5x optical zoom, a 10x hybrid without quality losses and a digital one up to 50x. Then there is a ToF sensor (time of flight) in charge of accurately mapping the surrounding environment and a 20MP f/2.2 wide-angle lens with an equivalent length of 16mm. Huawei P30 for its part, while not having the same equipment as that of the Pro model, defends itself admirably with a 32MP f/2.0 sensor on the front and three on the back: the main one is a Huawei Super Spectrum 40MP f/1.8, the wide-angle is 16MP f/2.2 while the 3x optical and hybrid 5x telephoto zoom lens is 8MP f/2.4. In any case, the differences compared to the better-equipped brother are not negligible, in fact, both the optical stabilization and the fourth sensor, the ToF one, are missing. In light of the technical data and the fact that Huawei has certainly not pulled back when it had to announce the new record obtained by P30 Pro in the DxOMark ranking, Yu Chengdong’s statements frankly perplex. The technical equipment of P30 (not only for the photographic sector) has been revised downwards compared to the Pro model, so the score obtained on DxOMark is inevitably lower.